Our Single, Double or Triple Motors European Vacuums are Professional rugged machines. 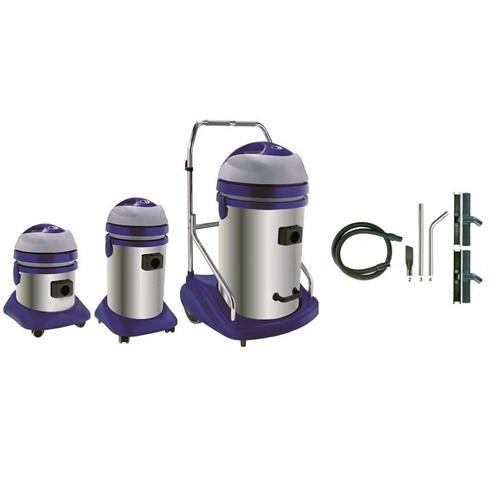 These Professional Vacuum Cleaner are with a double stage Motors. They are very much appreciated by Professional and Industrial users and are amongst the best machines available in the Industry. We “Buildwell Solutions”, was formed in the year 2014, at Noida (Uttar Pradesh, India), by like minded experienced Professionals having more than 25 years of experience in Cleaning Machines & Building Material Products. Buildwell Solutions represents various European brands under our flagship like ELSEA®, Remmers®, STEAMTECH®, COYNCO®, Gadlee®, UNIVAC® etc. having our distribution network in all the major towns across India. We have gained recognition as a well-known Supplier / Distributor of reliable range of Cleaning Machines And Chemicals, Fire Doors, Wood Protection Chemicals & Epoxy Flooring. Our technical team of professionals understands the core requirements of our customers and provides complete customized solutions to suit to the requirements of our customers. Our experienced and trained after sales team ensures that our customers do not face any issues after using our products. Our Range of products are widely acknowledged for their high quality, less maintenance, sturdy design and cost effectiveness. Under the guidance of Mr. Rakesh Tandon, we have created a strong foothold in these domain.